I never owned any PlayStation consoles, so even though thatgamecompany’s relaxing Flower released back in 2009, I didn’t get to play it until it arrived on iOS this week, eight years later. I wasn’t really sure what to expect, as I haven’t played anything by thatgamecompany, even their most popular, Journey. I was a little concerned about the tilt control scheme, as I usually avoid games with those. 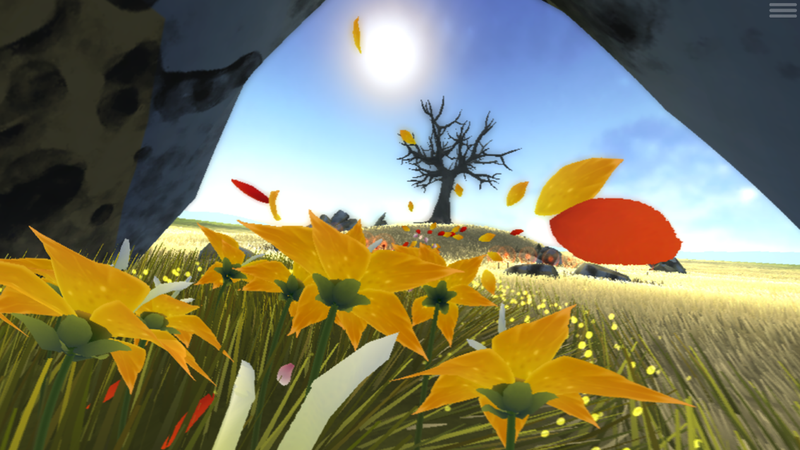 But I wanted to give Flower a chance since I heard good things about it and the screenshots looked impressive. In Flower, you control the wind. You tilt your device to move directionally, then tap and hold the screen to speed forward. You start off each of the six chapters at a singular flower, which you yank a petal from. That petal is your focal point, and you need to guide it into other flowers to make them bloom. 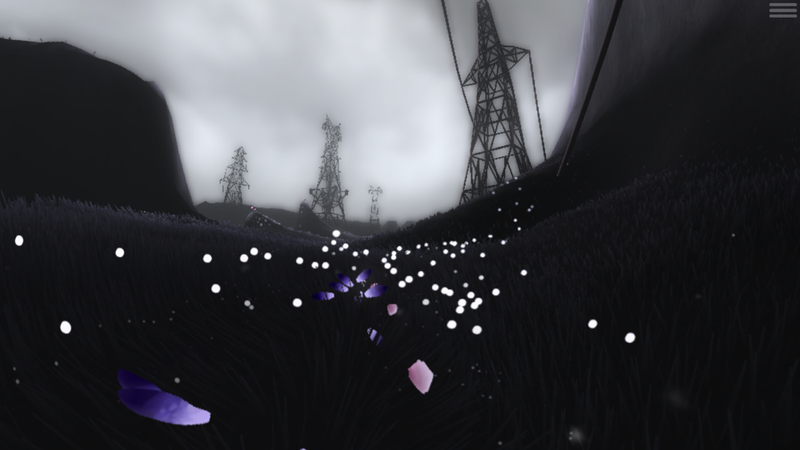 As you fly past flowers, you’ll pull petals along with you, creating an ever-growing mass of petals. That’s pretty much all you’re doing, gameplay-wise. All flowers bloom to the touch, but the important ones that move the story along are surrounded by a glowing orb. Those are the ones you need to pay attention to. 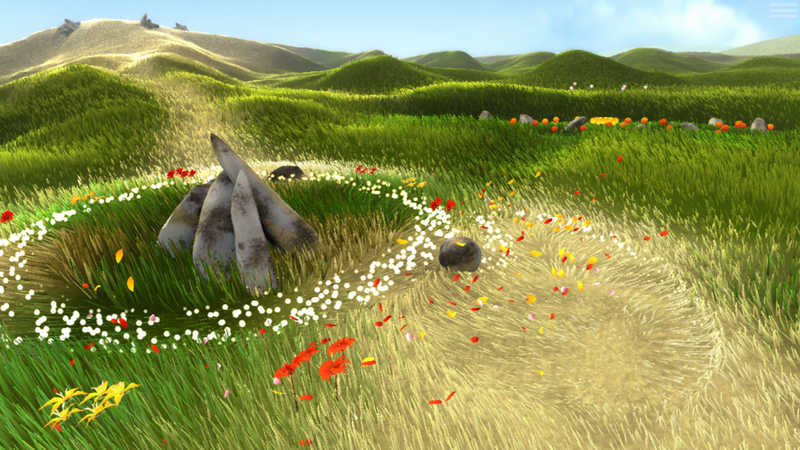 At first, hitting all those orbed flowers will just bring life back to dead grass. I admit, I was unimpressed after spending about a half hour with the game and was thinking it was starting to feel repetitive. I began wondering if this is all there is to it, flying around to flowers and watching the grass turn green. But I stuck with it and I’m so glad I did. 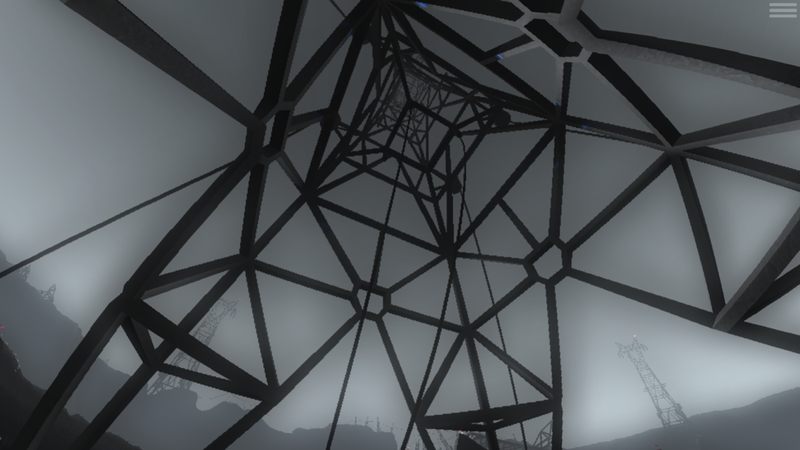 As the story progresses, you start to interact with man-made things like wind turbines, street lights and other city structures. While there are no words other than to explain the controls, it’s clear that the game is telling a story through its six chapters. I don’t want to get too much into the story since it can spoil things for those who haven’t played yet, but there is a clear juxtaposition between nature and technology. The game shows the two battling for space and asks whether they can coexist in harmony. It manages to say quite a lot without words and without being preachy or over-sentimental. I found the message to be fairly straightforward but abstract enough that I might find myself discussing its meaning with others. I like that it leaves a bit of room for interpretation so that each person can get something different out of it. The way it’s told also means you can completely ignore the story if you’d like and just enjoy flying around through the gorgeous landscapes. My favorite chapter is the one that takes place at night and your petal glows. 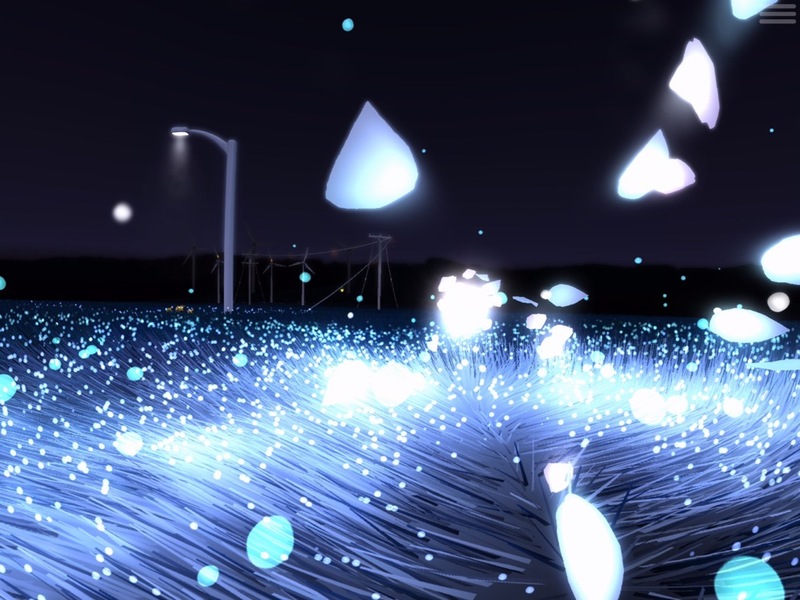 Here, you start focusing less on flowers and instead light up the grass so that it looks like one of those carnival toys with fiber optic bristles that change colors. It’s just such a pretty chapter and it stands out from the rest both in mechanics and aesthetics. It’s the chapter I keep returning to the most so I can see the glowing grass. It’s just so relaxing to fly through it and see it move around you. If you do pick up the game and are unimpressed after the first two chapters, I implore you to continue playing and let this chapter win you over. Let’s talk a little about the controls. I know tilt controls were always part of the game, even on consoles, but I’m not sure they were the best choice here, especially on a large iPad. You can see my first experience with it on my iPad Air 2 below. I was struggling quite a bit at first, as it feels a little unwieldy. It’s hard to make small nuanced moves when you’re holding a such a large device. The game looks absolutely gorgeous on there, though. Luckily, there’s no real penalty in this game for taking too much time to reach your targets. Even sections where the the wind speeds you forward, you’re not penalized for missing flowers. So the controls aren’t a deal-breaker. You just need to have some patience with them. I also found it easier to play on an iPhone. After completing the game on my iPad, I started over on my iPhone, since there’s sadly no iCloud sync. I had a much easier time, as I was able to make more nuanced movements. I still missed some flowers here and there and had to backtrack for them, but overall I felt like I had much better control over things. The game plays great on there, so I think you’re fine on either one. The animations and particle effects all translate beautifully on both the big and small screens, and the game is optimized for both so you never have to look at any black bars. Both my devices are over two years old and they’ve been handling the game well, so if you have a newer device, I only imagine it will look even better. The game is short, as it can be completed in under two hours. It does offer replay-ability simply because you will likely want to revisit your favorite chapters to fly around them again. But this is hampered by the lack of iCloud sync. Those, like me, who are always struggling to make space on their devices for new games might not be able to sacrifice the gigabyte just to be able to return once in a while when the mood strikes. iCloud would have been a very welcome feature here, so I could delete it but reinstall whenever I feel like replaying a chapter. As is, I fear I’ll have to delete it from both devices and move on. Those with more space to spare will likely stretch their dollars further. It’s a bit weird playing Flower for the first time years after it was originally released, and after playing other games that it clearly inspired. After just a short time with the game, I was already thinking about Gemini: A Journey of Two Stars and Gathering Sky. I’m sure plenty of other games were inspired by Flower, but these two stuck out clearly to me, either for their aesthetics or gameplay or both. In Gemini, you fly around as a star helping another star light up the sky. Both the artwork and music are very reminiscent of Flower, but I didn’t see this until now. 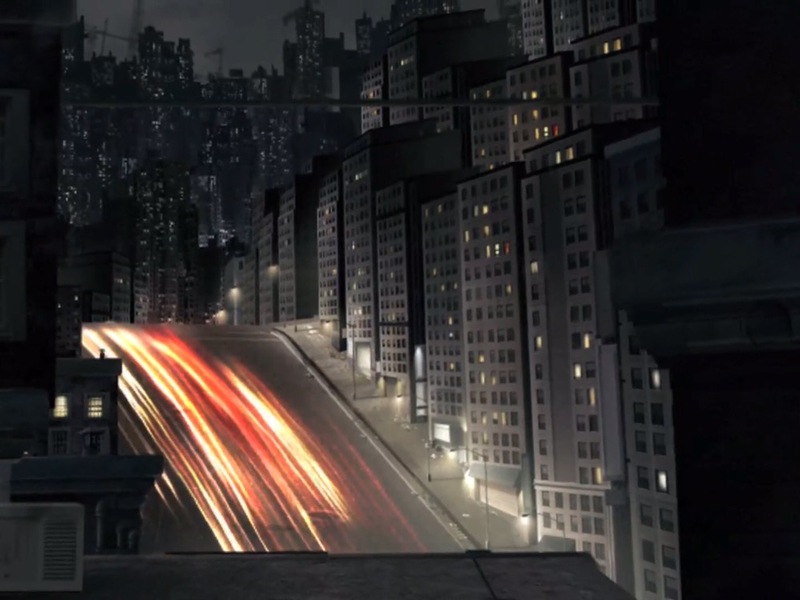 There are also sections where the game takes over for the most part and speeds you upwards. Gathering Sky is very different aesthetically, but similar in concept. Instead of petals, you’re controlling a bird that picks up other birds it flies past. There is less of a goal, however, besides following the path to the end. There are also sections where the wind carries you, as in Flower. While I had some strong criticisms of Gathering Sky due to its lack of gameplay or challenge, I do think Flower feels more like a game. It might not be challenging, but you have to do more than just follow a path. Either way, it’s nice to finally be able to make these connections. 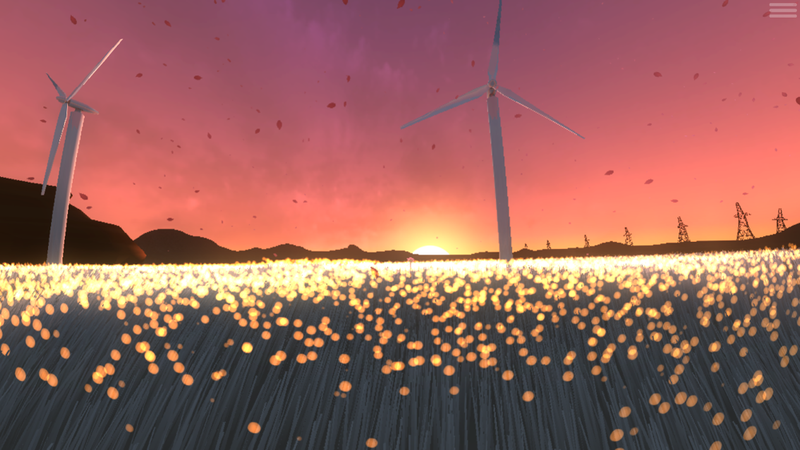 Flower may not seem all that groundbreaking if you’re playing it now for the first time. We gamers are spoiled these days, even if iOS is your platform of choice and you get many games later than others do. But Flower doesn’t feel dated even eight years after its initial release. 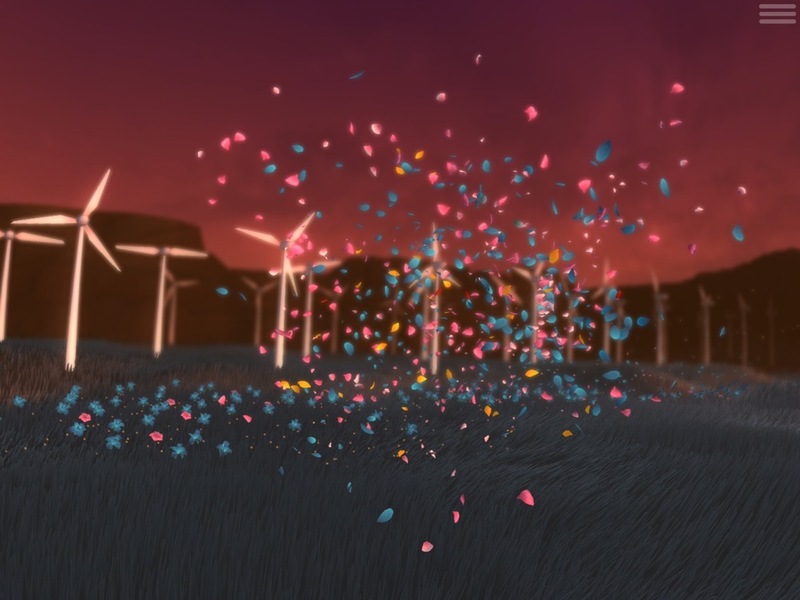 If you’re looking for something relaxing that won’t bug you with micro-transactions and doesn’t demand much from you, Flower is a solid choice, even with other offerings available. Yes, the price is a bit high for iOS and there are those who will feel they didn’t get their money’s worth. But I’m glad to see these games making their way over to iOS and I think if you go in knowing what to expect, you shouldn’t be disappointed. This is not a puzzle game. This is not a first-person shooter. It is a short, gorgeous, relaxing game with minimal gameplay and a simple but meaningful story. It even does something special with the ending credits to get people to stay for them. To put it plainly, Flower achieves what it sets out to do. If that’s what you’re in the mood for, grab it on the App Store here. Hi! I played this game a few years ago on our playstation, and I was so excited to download it today on my iphone! Unfortunately there seems to be a problem with the rotation on my phone. The app is stuck on the homescreen where it shows to rotate your phone, but nothing I try to start the game helps. Any advice?